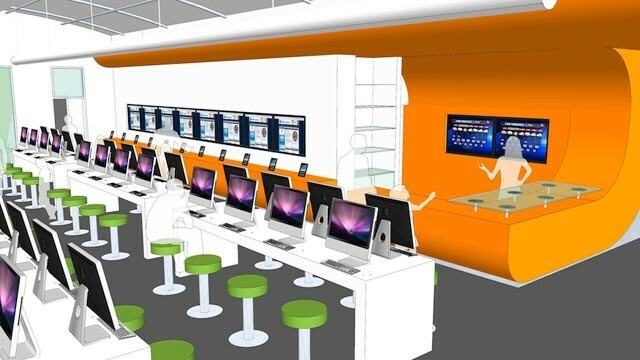 Come Fall 2013, a new library will be opened in Bexar County, Texas, providing visitors with a bank of e-Readers for borrowing e-books … obviously books of the traditional paper variety will be glaringly absent. This project marks the first public library to be built as an all-digital service and just to make sure library-goers are in no doubt that it’s the 21st century, the interior will feature a design influenced by Apple retail stores. The library, known as the BiblioTech, was announced by Bexar County Judge Nelson Wolff. Inspired while reading Apple founder Steve Job’s biography, Wolff said he envisions several bookless libraries around the county, including in far-flung suburbs. “It’s not a replacement for the (city) library system, it’s an enhancement,” Wolff said. This entry was posted in Civica, Libraries and tagged 21st Century, Apple, Bexar County Texas, BiblioTech, E-book, Learning, library, Library Design, Nelson Wolff, Public library, Steve Job, Technology. Bookmark the permalink.